This photograph has been scaled down; full resolution photograph is available here (2,051 by 1,026 pixels). 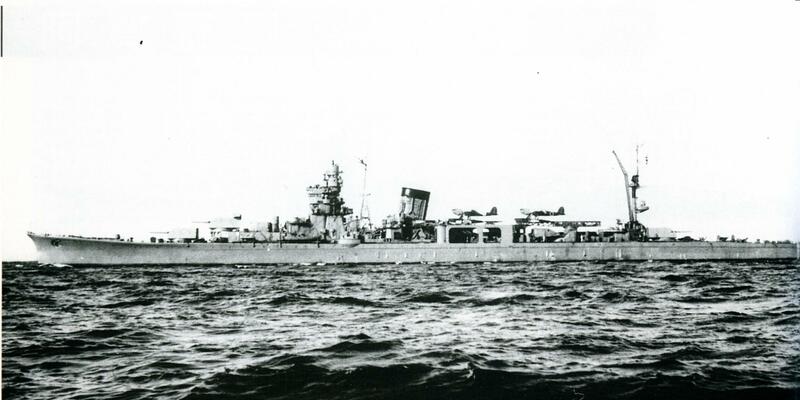 Yahagi: Light Cruiser launched 25 Oct. 1942, completed 29 Dec. 1943 sunk 7 Apr. 1945 at about 14:05hrs. in company with Yamato by aircraft TF 58. Above photo taken 19 Dec. 1943, just before she entered service.